Governing isn’t all big speeches and campaign trails. There’s a lot of boring humdrum as well, something Norway’s Prime Minister has an effective solution for. 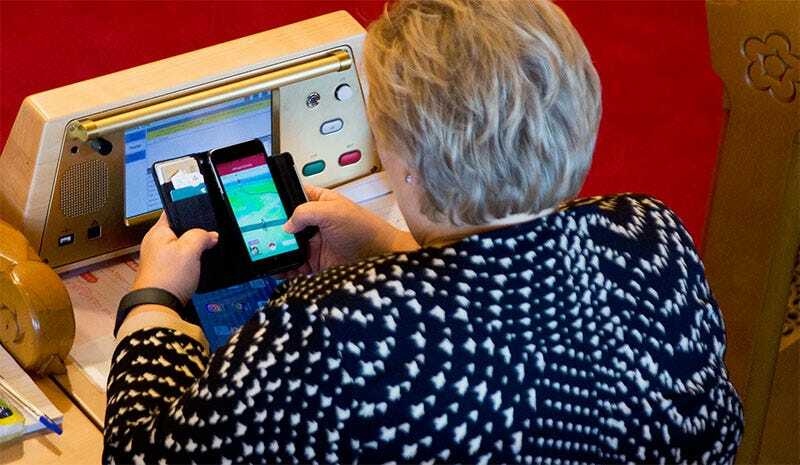 Erna Solberg, the leader of Norway’s conservative party and Prime Minister of the country, was snapped by The Guardian on Tuesday playing Pokémon Go while in parliament. As they point out, she’s not even the first Norwegian politician to be caught doing so, with liberal party leader Trine Skei Grande spotted doing the same thing in August. Which, whatever. My only concern here is: How do I get one of those Star Trek desks she’s sitting at?